Cybersecurity is the practice of making the networks that constitute cyber space secure against intrusions. The aim is to maintain the confidentiality, the availability and integrity of information, by detecting interferences. Traditionally, cybersecurity has focused on preventing intrusions and monitoring ports. The evolving threat landscape, however, calls for a more dynamic approach. It is increasingly clear that total cybersecurity is impossible, unless government develops a cyber-security strategy. 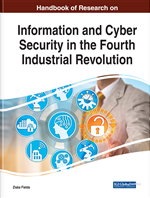 The aim of this chapter is to discuss government's dynamic approach to addressing challenges of cybersecurity. The chapter looks at the co-ordination of cyber-security activities so as to have a coordinated approach to cyber-crime. This chapter also highlights the idea of protecting sensitive data for the public good. It is generally accepted that technology has become indispensable in modern society. Government's cybersecurity presents a unique challenge simply because of the volume of threats that agencies working for government face on a daily basis. Cybersecurity is the practice of making the networks that constitute cyber space secure against intrusions, thus maintaining confidentiality, availability and integrity of information, detecting intrusions and incidents that do occur, and responding to and recovering from them (National Cybersecurity Policy Framework for South Africa, 2015). E-Governance: Is the application of Information Technology to the process of government functioning in order to bring about simple, moral, accountable, responsive, and transparent (SMART) governance. Cybersecurity: Is defined as the collection of tools, policies, security concepts, security safeguards, guidelines, risk management approaches, actions, training, best practices, assurance and technologies that can be used to protect the cyber environment, organization, and user assets. Cybercrime: Is all illegal acts, the commission of which involves the use of information and communication technologies. It is generally thought of as any criminal activity involving a computer system. Cyber Threat: Is a threat to information technologies (i.e., technologies that allow the access, exchange, and the transaction of information). Ransomware: Is the use of malicious software to encrypt a user’s data and then extort money to unencrypt it. Information and Communication Technologies (ICT): Refers to technologies that provide access to information through telecommunications. It is similar to information technology (IT), but focuses primarily on communication technologies. This includes the Internet, wireless networks, cell phones, and other communication mediums. Cyberspace: Refers to a physical and non-physical terrain created by and/or composed of some or all of the following: computers, computer systems, networks, and their computer programs, computer data, content data, traffic data, and users. Cyberattack: Is a deliberate exploitation of computer systems, technology systems, and networks. Cyberattacks use malicious code to alter computer code, logic or data, resulting in disruptive results that can compromise data. It is an illegal attempt to harm someone’s computer system or the information on it, using the internet.